Gowri Habba, or Gowri Ganesha Festival, is observed during the Ganesh Chaturthi, or Vinayaka Chaturthi Festival in Karnataka. Gowri Habba 2019 date is September 1, Sunday. Gouri Habba is also known as Swarna Gouri Vratam. On this day, Goddess Gowri (Parvathi) is worshipped. The ritual and observance is held on the third day of the Shukla Paksha (waxing phase of moon) in Bhadrapad month as per traditional Kannada calendar. Gowri Habba is performed by both married and unmarried women. A golden image of Goddess Parvati is worshipped on the Gowri Habba day by some communities. The popular belief is that Goddess Parvati visits her devotees on the day and Lord Ganesha comes on the next day (Ganesh Chaturthi day) to take her back to Kailasa, the abode of Lord Shiva. Married women perform Ganesh Gouri for a happy and peaceful married life. Unmarried women perform it for getting good husbands. Usually the idol is prepared using Turmeric or a clay idol of Goddess Gowri is also procured from the market. There are several regional variations in the observance. In some places, a clay idol of Ganesha is also worshipped. 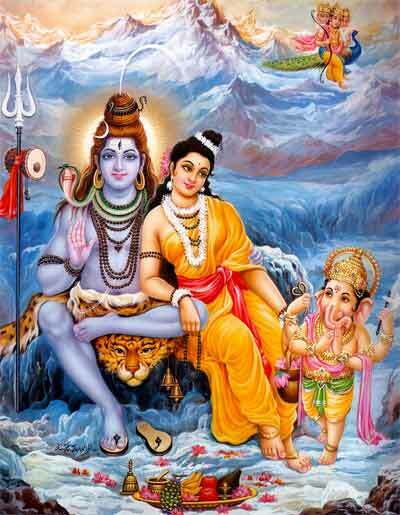 The main legend is associated with a creation of Ganesha from her own body Goddess Gowri. Please note that a Ganesh Gouri Festival is observed in Maharashtra during the Ganesh Chaturthi Festival and it is different from this - you can read about the festival here. How to observe Ganesh Gowri Vrata?